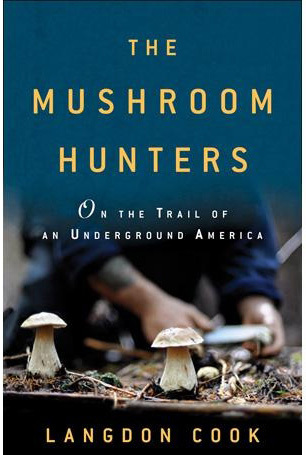 This is a very well written book and really talks about the true life of Mushroom Hunters! It is centered around Seattle, which is the center of the mushroom world for most commercially sold wild mushrooms. 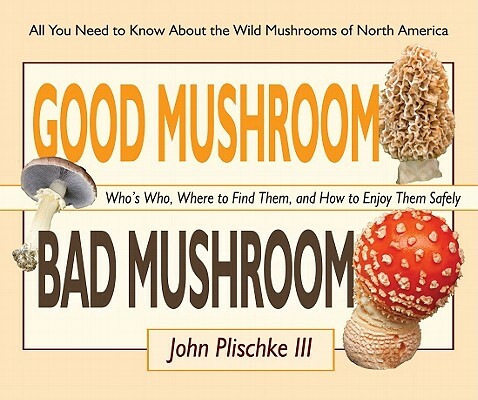 The author gets to know some professionals and is allowed to forage with them and be a part of the rarely known part of this mushroom game, including the marketing and delivery of wild mushroom products to well known restaurants and markets. There are logistics involved that would boggle the average mind! It is a story of chefs, mushroom pickers and mushroom buyers. I think this book will give the weekend mushroom picker a good idea of what goes on in the professional mushroom world. It will also help the mushroom consumer to understand why wild mushrooms are so expensive and hard to get a hold of. I really enjoyed finding out that there is a group of foodies and chefs that understand the seasonal nature of wild gourmet mushrooms. It is an understanding that is lost with the modern consumer that expects year round availability of everything from our factory farms. This is a really good read and I could not put it down until I read it cover to cover! The secretive world that he uncovers is amazing and complicated. He also talks about relationships and friendships that are built and sometimes lost in this mushroom world. This was a good read for a change of pace. I read mostly reference type books, so it is nice to read a book with history and stories. This book covers the traditional medicinal fungi as well as some unusual applications and uses that I had never heard of. A thorough explanation of the immune system starts this book and it ends with some nice recipes. It is a good read and very informative. “Mushrooms Demystified”, by David Arora is one of the best identification books for this area. This book has a thorough description of mushroom terms, features and families. There is even a section on Greek and Latin terms to make the scientific names more understandable. The bible of mushroom books, as it is known, is my most complete identification guide.Paired with Davids companion book, “All the Rain Promises and More” is a powerful tool for learning fungus. There is a general key in the beginning, to get you in the right family, and then each section has a detailed key that is very straight forward and easy to use.Edibility is covered as well as toxicity and naming history.There is black and white photos throughout the book and colored plates in the center that are outstanding!There is a section on mushroom toxins with details on the chemicals involved.Symptoms, emergency advice and examples of poisonings are included. “Mushrooms Demystified” is a great Identification Guide and good way to get an overall understanding of the great world of FUNGUS! Even though it is centered around his home in California it is very effective here in the NorthWest. Go get your copy today…at your local bookstore. Here in Bozeman we are lucky to have Vargo’s on main street. “All That the Rain Promises and More…” by David Arora, is a great book for learning the identification of mushrooms. 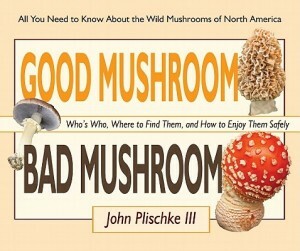 If I could only buy one book to learn the world of mushrooms, this would be it. This book is a companion to the book ” Mushrooms Demystified”, which is known as the bible of mushroom guides, and is also written by David Arora. Since it is pocket size, it easy to carry, and the cast of mushrooms has been narrowed to a manageable size. Mushroom books can be overwhelming, especially for beginners. David has included a well rounded, common grouping here to learn. The book has a “quick key” on the inside covers front and back, and is an efficient way to get in the right family. It then starts out with instructions on how to use the book. A general but thorough discussion on types of mushrooms, and the when and where of finding them is included. The book is divided into general types and families. The descriptions of each individual mushroom is complete and easy to read. Color pictures are included with each description, and are of high quality. Almost all of the pictures are from the field, giving a good idea of what they look like in nature. The book also includes stories about different people, and their most memorable mushrooms hunts. There is also a few mushroom type stories and anecdotes. They lighten the book up and give it a very personal touch and feel. David also lets us know again, that mushrooms are not dangerous and should be taught to children, and loved ones. Where there is not room to cover a mushroom or one of it’s relatives, The book notes a page in “Mushrooms Demystified” for further investigation. “All That the Rain Promises and More” was one of my first mushroom identification books, and it didn’t take me long to buy “Mushrooms Demystified”(we will cover it on another day). The two work well together for identification in the field and then further investigation at home or camp. You can find this book at your local book store, as well as on-line. Vargo’s, here in Bozeman, carries a good selection of mushroom books, and I check on it regularly!